People's National Congress (PNC) appoints Fonadhoo MP Abdul Raheem Abdulla as acting President, while former Economic Minister Mohamed Saeed and former Defence Minister Adam Shareef were appointed the position of acting Vice-President, on Sunday. During PNC's inauguration meeting, a working committee was formulated prior to the Party's congress and election of leadership. 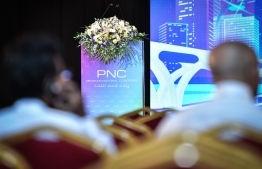 Former President Abdulla Yameen Abdul Gayoom, who is also the current President of Progressive Party of Maldives (PPM), joined PNC's meeting. Over 40 people have been appointed into the Party's committee, including former ministers and renowned businessmen such as former Minister of Housing Dr Mohamed Muizzu, former Minister of Education Dr Aishath Shiham, former Maldives Port Limited (MPL) CEO Ibrahim Abdul Razzaq Haleem, Baarah lawmaker Ibrahim Shujau and many others. The meeting finalized the Party's charter, flag, colour (turquoise) and logo. The 357 party members unanimously approved of the flag, logo and Party charter and the temporary working committee. Two members voted against the proposed color. 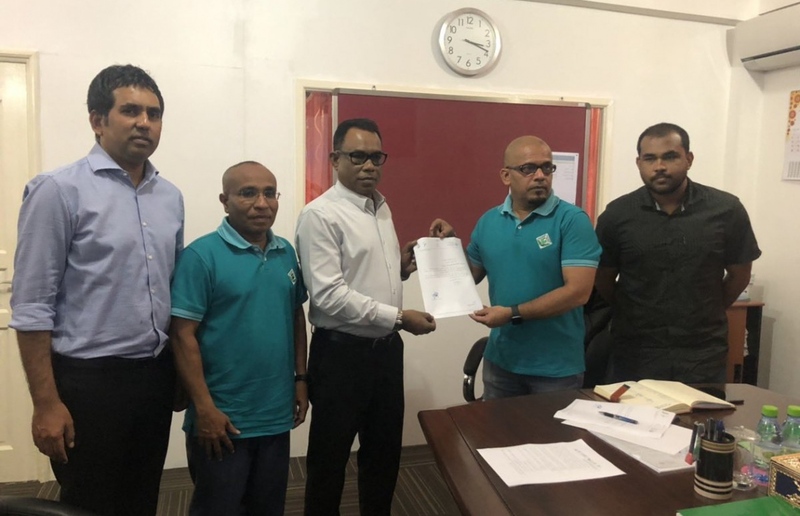 Abdul Raheem was actively involved in forming Yameen’s new political party and also played a key role in his campaign for Presidential Election held on September 28.